Amy Crowdis (Breadcrumbs) stars as Melanie Crow a depressed young woman who is grieving over the death of her mother. Unable to deal with her loss she creates a doll effigy of her mother and takes it around with her wherever she goes. In her head she believes she can hear the doll talk like her mother so does her best to please it. Soon our damaged young woman meets Dukken (Robin Lord Taylor, Oswald Cobblepot in GOTHAM), an equally depressed awkward character who spends most of his days wandering around the town. 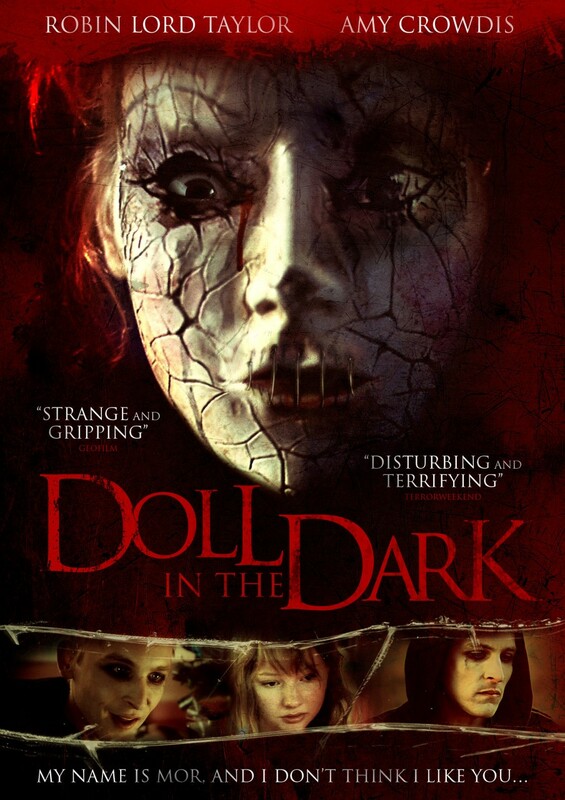 Over the course of the film a love story grows between the two, even if Dukken finds Melanie's doll "sick". Though it would seem Melanie wants to get out of the shadow of her dead mother, her belief in the doll is too strong and she continually pushes Dukken away. Towards the end we discover what Dukkens name really means and Melanies reaction is not one of love. This is mainly a two person film and the casting couldn't have been any better. DOLL IN THE DARK is an enjoyable psychological thriller with just enough drama thrown in that at just over 70 minutes long gives you enough story behind the characters, without padding the film with non-sequential nonsense that wouldn't help the narrative. Originally the film was released in 2011 as The Melancholy Fantastic and was far longer then this version. It would be interesting to see the differences between the cuts, but I suspect this was the best call to trim it down and make the film more compact. Director Alejandro Daniel should be proud of what he has accomplished on what is a small budget film.